I am not sure if my understanding is right. but it has no price. Am I doing the right thing? Or is it just it has no price configured at all? 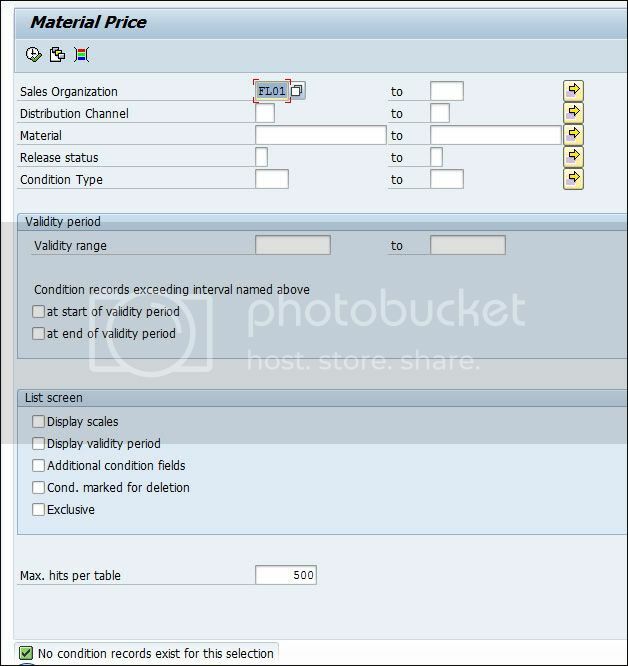 sales org/ sales off / material rate pertain to all the dates. Vk12/ 13 will ask Vaild on date input. V/ld will not ask that too. I tried entering details on the screen but still error is "no conditions exist". I opened VK11, (condition type PR01) and it has many entries and I can see them with price. Still the same error. I tried many combination on the selection screen but same error. Im just wondering why when I check prices on VK11 (condition type PR01), I can see the materials and the items. Try V_NL, give the details and it will give you the price of all the materials. Leave the material selection blank. Give the pricing date as current date and dont change the defauls values in billing type, order type and item category. 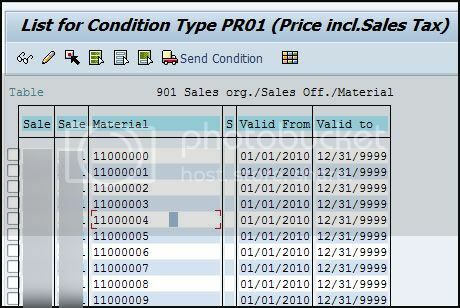 In the output, column Subtotal 1 gives you the price that you have maintained in the condition records in VK11. Select the check box and click on the pencil icon or double click on the material. check in VK12 or VK13 not in Vk11. I can see now the price. THANKS. But is it possible to see the price on one table so that I can save it into an spreadsheet? I need to see the prices in one table. How to do it? Any tcode for this? Or should I just open KONP table? I used that V/LD, selected 15 then removed everything and just selected Sales Org but it says "no conditions exist". Probably there are no condition records exists. May be your condition type in MANUAL. V_NL tcode is not fit for my need because it requires customer id # and this will stop my goal -- to view all of the materials with price regardless of customer.